Ishikari-Nabe is a typical dish of Hokkaido, making use of fresh salmon from head to tail. The name comes from the Ishikari-gawa River, famed for its salmon catch, and the same dish is known as tokachi-nabe in the Obihiro area. 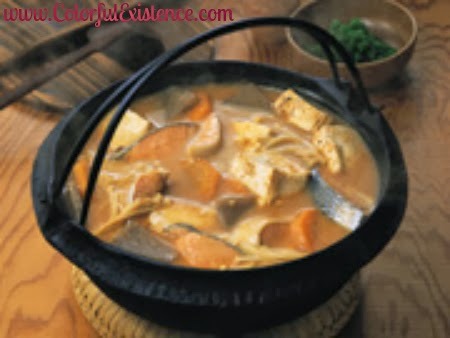 Chunks of salmon are stewed with vegetables, tofu and konnyaku; the “devil’s tongue” in kelp stock flavored with miso. Locally produced potatoes and cabbage add to the delicious flavor of this hearty dish, so you can indulge in the tastes of Hokkaido from both the sea and the land. The origin of Ishikari-Nabe is a salmon and vegetable stew cooked by the Ainu people in the 17-18th centuries, with miso introduced by the arrival of Japanese people from the south.